Join Prime Time Sports Talk’s Jacob Solkoff and Mikey Berkowitz as they put their Morals Aside to give their bold and controversial sports takes and voice their politically incorrect opinions. But mostly sports news. At least that’s the plan. This will either be your favorite podcast featuring two outrageously hilarious hosts or your least favorite podcast featuring two horribly sad excuses for people. Solid 30/70. Because Mikey and I love everyone so much, we have decided to upload every single episode right here on the Prime Time Sports Talk website, as well as on Apple Podcasts, SoundCloud, and Google Play. P.S. : We said only 30% of people will like us. Regardless of that number, let us know what you think so we can make even more people question our motives. Fill out the contact form at the very bottom of this page and every post to directly contact the Morals Aside crew. 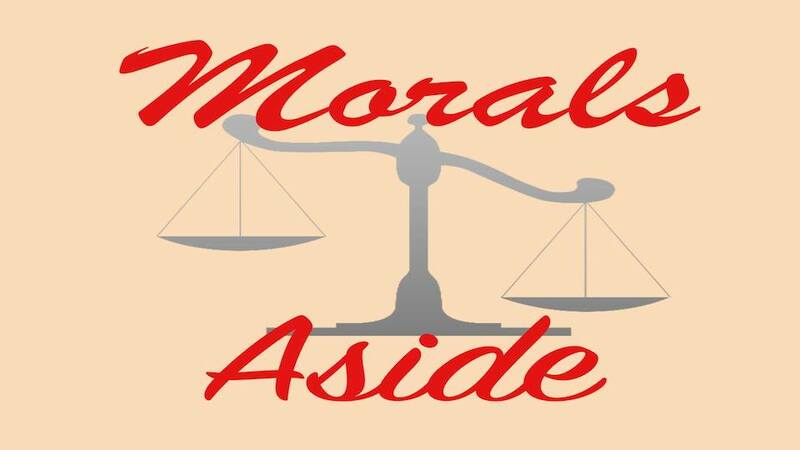 Also, find us on Twitter (@MoralsAside) and Facebook (Morals Aside). Today, the guys discuss the NFL Anthem policy after the Miami Dolphins got themselves in deep water after announcing their strict rules for the National Anthem. Then, the guys discuss Tiger Woods dominant performance at the British Open and whether or not he can get back to him old self and win another major. Lastly, the guys roast vanilla ice cream on National Vanilla Ice Cream Day. Also included is our segment, Table Talk.